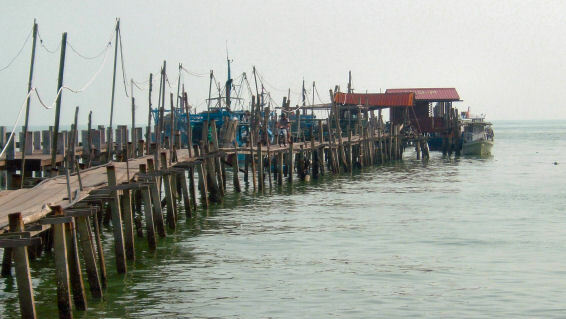 Teluk Bahang is a friendly fishing village in the north western tip of the island Penang. The name Teluk Bahang means the "Bay of Heat Wave", probably pointing to the high temperature of the sea breeze coming in to shore. It's only 5 kilometres distance from the touristy place of Batu Ferringhi. Teluk Bahang used to be famous for his fish restaurant "The end of the World", but that restaurant was destroyed by the tsunami. Now there's another restaurant in Teluk Bahang by that name, but it has its style. Another good fish restaurant is the Fishing Village. 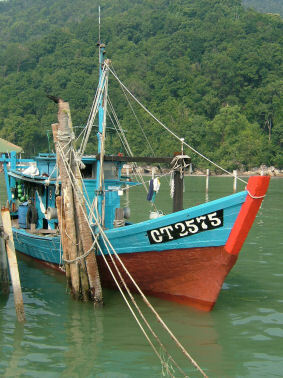 The fishing village of Teluk Bahang has only a few small hotels. The best known is Sportfishing Hotel, located near the entrance to the National Park. If you'll drive into the town from Batu Ferringhi, you'll see on the left an empty hotel. This was the former 5-star hotel "Mutiara". Across the street is a tall building and an empty Cutural Centre, in which were given dance performances in the old days. After passing the petrol station (Caltex) you'll come to the roundabout. 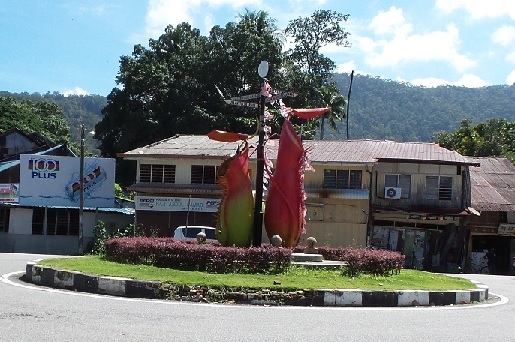 In the middle of the roundabout are two large pitcher plants. Visiting to the Batik Factory and the Forestry Museum is free of charge. 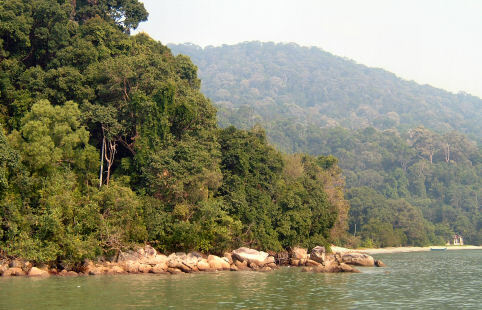 Teluk Bahang is the entrance for the Penang National Park. Previously it was known as the Pantai Aceh Forest Reserve. First you have to register and then you can go into jungle to visit beautiful beaches, like Monkey Beach or Pantai Kerachut. The park is unique as it contains several different types of habitat including a meromictic lake (a lake in which some water remainspartly or wholly unmixed with the main water mass at circulation periods), wetlands, mangroves, mudflats, coral reefs and turtle nesting beaches. The dusky leaf monkeys and the long tailed macaque can also be seen. Birds are aplenty, noticeable big birds like the White Bellied Sea Eagles and the Brahminy Kites and kingfisher occasionally can be see here. Mammals such as wild boars, wild cats, civet cats, sea otters, mousedeer, rats, bats and squirrels and crabs, fishes and large prawns, monitor lizards and snakes are common here. The entrance to the National Park is free of charge. You just have to register at the Registration office near the fishing boats. They want to know who comes in and out. 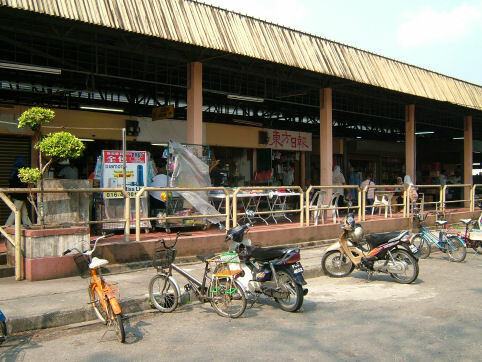 Teluk Bahang has a "Wet Market" (photo at the right). A wet market is a market, which doesn't only sell fruits and vegetables, but also fish and meat. In this town the vendors at the market sell a lot of fish. You'll understand that it's a very busy market during the morning hours. The market is called officially: Pasar Teluk Bahang. The market is situated on the left side of the road, when you're going to the Registration Office of the Penang National Park or the pier with the fishing boats. In 2016, the Penang Butterfly Farm completely renewed. It has now become a large covered area. The exterior features a modern design. Here you can admire beautiful butterflies fluttering around. This is rightly a "living museum". There are 4,000 Malaysian butterflies of 120 different species, which fly around you. 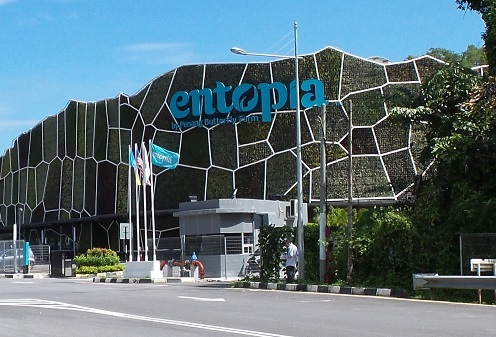 The visitor to the Penang Butterfly Farm, finding himself surrounded by a myriad of fluttering butterflies within a seemingly natural setting, is likely to think himself in a sort of enchanted wilderness, bejewelled with the colourful gems of creation. 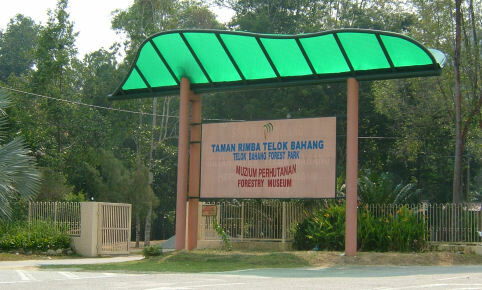 Another attraction in Teluk Bahang is the Forestry Museum. Visitors of the park can spend the day exploring, on the many footpaths, as the park is home to cool refreshing streams and numerous species of flora and fauna. This 247-acre recreational park in Teluk Bahang houses several fresh water pools, rest huts and offers a range of outdoor activities. A children's playground, jungle trails, and Forestry Museum are all fun activities. The museum highlights an array of usages for tropical timber.